Wife Audrey Wallace Robershaw, with youngest children. Daughter Carolyn and son Wesley! 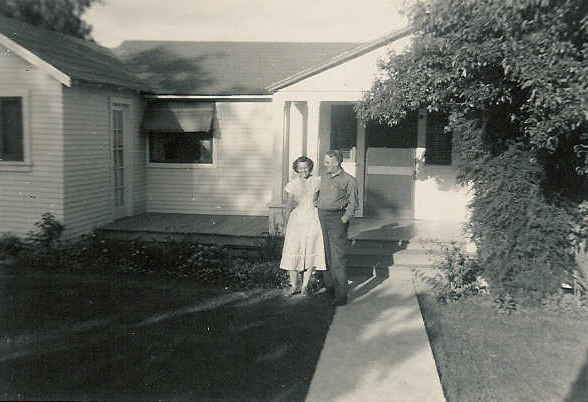 Aunt Audrey’s sister May Wallace Bates and her husband Don Bates in front of their home in San Diego, Ca. We stayed with them when we visited brother Reginald in 1950! Uncle A G with daughter Lura Mae! 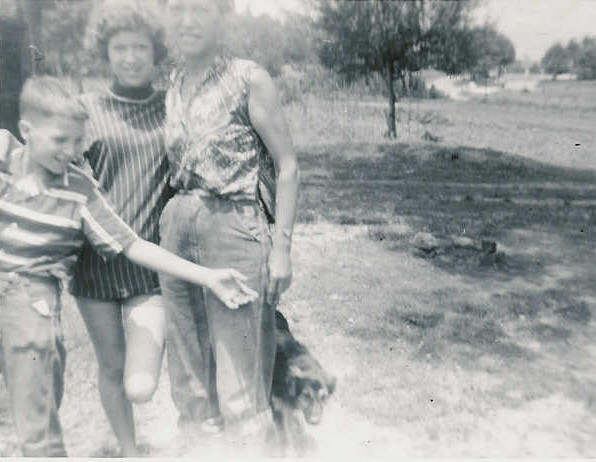 On the right is cousin Lura Mae’s son, David at age nine. This is Aunt Audrey’s brother Andrew and his wife Maggie, they also lived in the San Diego area. This photo was taken in 1988. Andrew and his family were talented musicians! 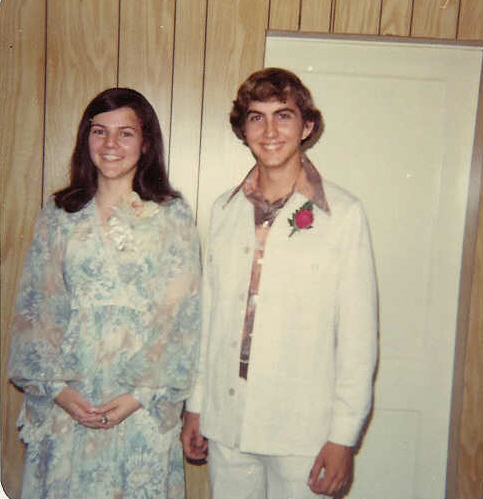 Lura Mae’s older son, Bobby Martin Jr. with girl friend Terry Rusal at their Jr. High Prom!! Pictured above to the left are brothers, Don, and Ron Robershaw with cousin Robert, in June of 2005. On the right is Robert with his older brother Andrew. Robert has been caregiver for Andrew several years now since their father A G passed away! 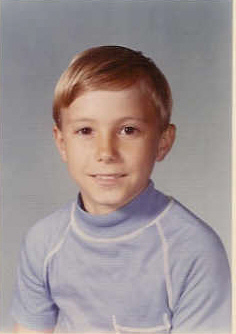 Andrew who has suffered with epilepsy since his youth passed away October 20, 2006! Niece Le Merle Robershaw Graves, Uncle A G and his daughter Lura Mae! 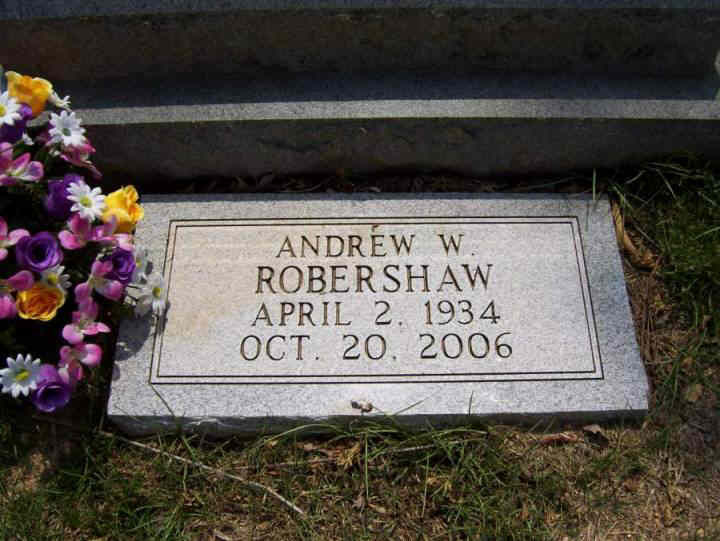 Above is the headstone for cousin Andrew, his ashes are buried in the same plot as his Mom and Dad! I can not think of a more beautiful thought! The Family is to be congratulated. The plot is at Cave Springs Cemetery, just north of Attalla, Al. It overlooks a very beautiful pastoral valley! Cousin Lura Mae and husband Bobby Martin celebrated their 50th wedding Anniversary on January 6, 2007! They were treated to a wonderful reception by their children. Part of the Celebration was a renewing of their wedding vows!!Congratulations!!! Click on Pictures for Enlargement or Click on Flag for Next Page!! 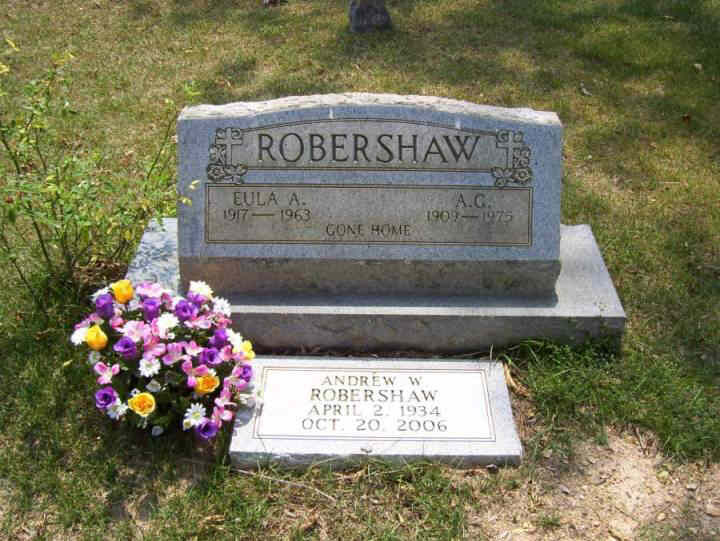 Michael was the son of Wesley Robershaw! Sorry I don’t have a photo at this time! Click Here for his Obituary! !